100% red cotton flannel with colors of red, blue, green, yellow, brown and cream. A beautiful addition to any little buckaroos quilt. Adorable puppies dressed as cowboys on stick ponies. 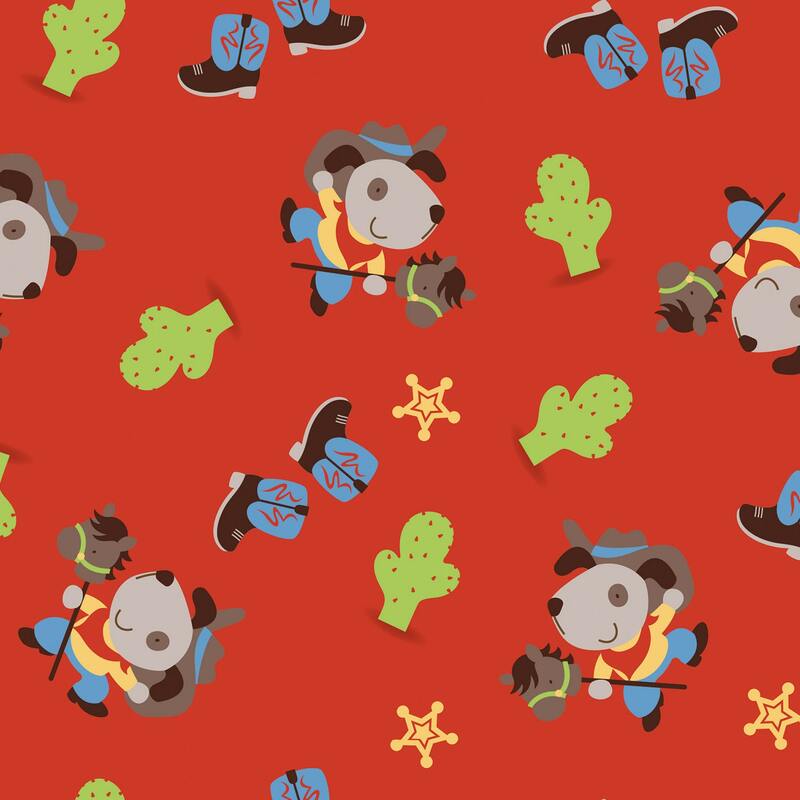 Colorful cowboy boots dance across the bright red background. All fabric from The Quilted Nursery Fabric Store is cut directly from the bolt and sold by the yard. If you require special cuts please contact us and we will be happy to accommodate your request. This was such soft thick flannel! I made some burp pads and bandana bibs for a gals Cowboy themed baby shower. Thanks for the quick ship.